Obesity is widely considered to be the greatest health risk to pets in the US. It's important to educate yourself on cat nutrition and on how to spot the telltale signs that your cat is overweight. Here's a quick infographic to help the shocking figures hit home. Cat obesity is growing problem (no pun intended!) that many owners fail to recognize. Obesity is widely considered to be the greatest health risk to pets in the US. 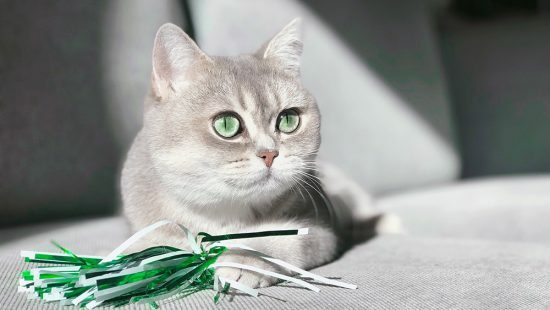 It’s important to educate yourself on cat nutrition and on how to spot the telltale signs that your cat is overweight. Here’s a quick infographic to help the shocking figures hit home. It’s not compulsory, but we’d really appreciate a link back to our website wherever you use it. Like those facts? Let’s elaborate a little. 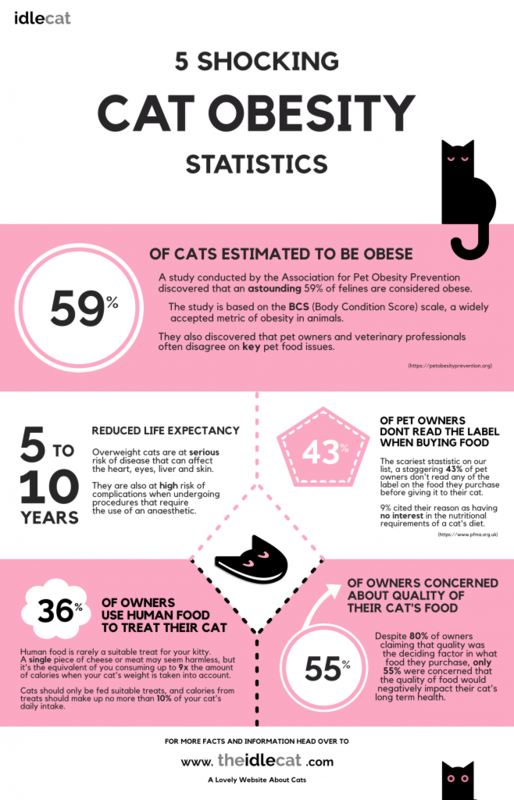 Below is a list of the 5 most shocking cat obesity statistics that will hopefully help open your eyes to the seriousness of the problem. Yep, that’s right, a staggering 59 percent of cats are deemed to be overweight or obese. This figure comes from research undertaken by the Association For Pet Obesity Prevention (https://petobesityprevention.org) and is based on the widely accepted BCS scale. You can find out more about the BCS scale around the web, it should help you be able to assess your cat’s weight yourself by pointing out clear visual indicators. While the BCS scale is a good approximate metric for your cat’s weight, there’s no replacement for professional advice from a licensed veterinarian. If you think your cat has issues with their weight, see your veterinarian as soon as possible to discuss the best nutrition plan. Understanding your cat’s dietary needs can lead you to make better feeding choices. You may need to consider reducing portion sizes and/or introducing a weight loss food. 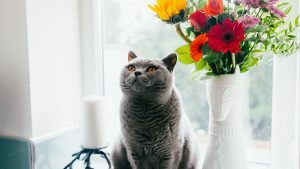 Depending on the severity of the cat’s condition, overweight or obese cats can have a life expectancy that is between 5 and 10 years LESS than their healthy counterparts. When you consider that the average life expectancy for a domestic cat is between 12 and 15 years, that’s a large chunk of life they could miss out on! Try your hardest to utilize toys, cat trees and other fun activities to get your cat moving for at least 20 minutes a day. You’ll also get a chance to bond with them and have some fun yourself. Everyone’s a winner! This really took us by surprise. That’s almost half of cat owners. 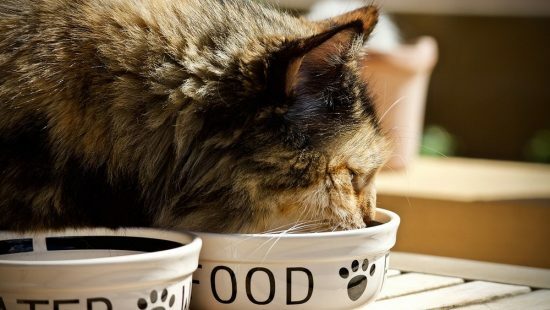 The statistic comes from the Pet Food Manufacturers Association (infographic here), and states that 9% of those 43% cited their reason for not reading the ingredients as them having no interest in the nutritional content of their cat’s food. Shocking! If you don’t know how many calories are in their food, how can you possibly know how much to feed them? Understanding the nutrition your cat needs is vital in helping them maintain a healthy weight. Many owners choose cheap dry foods that are low in protein and packed with carbohydrates, a really bad choice that’s made based on price and convenience. There are plenty of good dry cat food options that mean you don’t have to sacrifice nutrition to get the convenience and value dry foods offer. 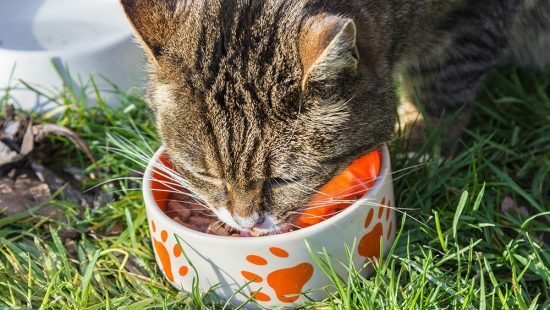 Yep, only 55% of cat owners think that the quality of food they provide their cat with will have an impact on their long term health. However, when asked what the deciding factor was when buying cat food, 80% stated that it was food quality above all else. Let’s just hope they know what makes a good quality food! We’ll start by saying that some human foods are okay for consumption by cats in moderate quantities. But for the most part, treating your cat with human food is not a good idea. Treats (whether human food or cat treats) should only make up a maximum of 10% of a cat’s daily calorie intake. Human foods are usually rich and very calorie dense, so it’s important to remember that your cat requires a tiny fraction of the calories per day that you do. Giving your cat a single piece of cheese can be the equivalent to you eating 9 pieces.